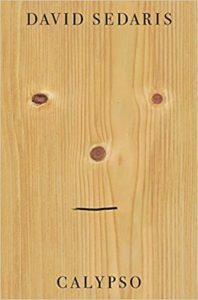 Summary: In the newest book by David Sedaris we get a look into his life in England and at his beach house in North Carolina. He tells stories of his family, partner and the neighborhood fox. Highlights: I think this is my favorite book by him. Ever since I was introduced to him, I have picked up everything I can find. He makes me laugh and think. In this book he switched from hilarious stories about having a stomach virus on a book tour to the death of his sister. It was fun and heart felt at the same time. I think we get an even deeper look into his life. He bares his family secrets and his soul. I was heartbroken when reading about the last time he saw his sister, Tiffany. I laughed until I cried when reading about the trash he picks up along the road near his home. The stories of his parents were so sad. It takes a lot of courage to write these things. And David does it so well. I cannot wait to see him at a local book signing. I am going to completely fan-girl over him! FYI: He is going to be at Watermark Books in Wichita on June 20th!! !